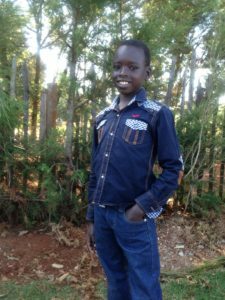 Gideon Kiplagat enjoys Christian Religious Education the most in school, and his favorite Bible verse is 2 Cor. 5:17. Gideon is often seen laughing, his favorite color is red and his favorite animal is a cat. Gideon hopes to have a car when he grows up! He wants to be a world class professional athlete, he would like to win olympic gold medal one day.